Facebook Expert: "Find Better Stuff to Post on Facebook!" 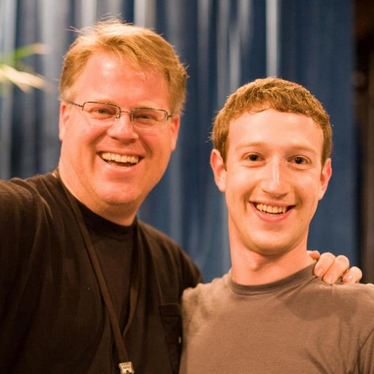 You know Robert Scoble, right? 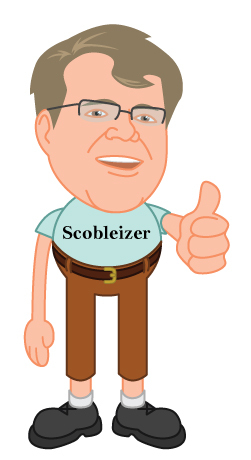 If you work in social media you've likely heard of the Scobleizer. Robert travels the globe speaking about technology & social media. To say the guy is connected is an understatement. He seems to know everyone in tech. And he's first on the scene for pretty much every new social media website or app. 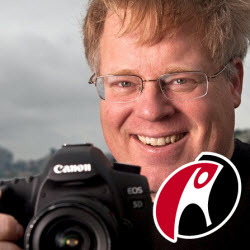 I didn't know Scoble until the launch of Google+. I connected with him there, but didn't realize how much influence he had until he shared one of my blog posts. That article was shared more times than anything I'd written up to that point. You'd think a guy with a following that size would be hard to get hold of, right? Wrong. Robert publishes his phone number & email on all his social media profiles & encourages people to contact him. He's a regular guy with a powerful platform for sharing his vision & the visions of others. That's what I like most about Robert -- he's real. For this post, I got inside the Scobleizer's head to share some of his thoughts about recent changes to Facebook's news feed algorithm. Facebook is screwing me, marketers say. In his Facebook post, Robert discussed a musician named Roem A Baur who had complained that only 5% of his fans were seeing posts from his page. Facebook was screwing him, the musician said. Facebook is now starting to limit visibility of posts for even non-profits & activists. How much more are they limiting what you see here, for this independent musician? I will have to promote this post (giving Facebook money) so that you'll see it and have the option to join my newsletter and get semi-monthly updates for me. I want to continue to share with you all, help connect you to the awesome community that supports me (a worldwide audience,) but I cannot afford to make sure you see everything on Facebook. At the current rate we interact, to promote each post would cost me $225/mo to reach you all. Will you join me? Your email and zip code is all that is required. I look at it the other way: Facebook is making it MORE likely for the good stuff to be seen because it keeps my crappy posts out of your feed. Robert estimated that even on his Facebook interest list for large technology companies -- only one in 20 posts have real value. More playlists. Musicians know who is killing it, so give me playlists to listen to on Spotify or Soundcloud. Or other musicians who are influencing you. More videos. We all want to know what it's like to be a rock star. So interview other musicians back stage, show how you invent new stuff, etc. Talk about places you like playing best & why. Do posts with more Facebook stuff, like sentiment, location, etc. Mix it up. If you do only video posts you will get filtered out more. This is great advice that will get you more Likes, comments & shares -- and ultimately an increase in Reach. Without you having to pay a dime! Basically, Scobleizer is telling Baur to find better stuff to post on Facebook. Do tips from the Scobleizer work? Scoble's advice is similar to tips we've given on the Post Planner blog time & time again. Facebook biases toward popularity. Simply put if other people are finding your content interesting by Liking, commenting or sharing, it will show up more on the news feed. Facebook's news feed algorithms also go for different media types. Robert said that video gets more Reach because it makes Facebook more "fun". Are you utilizing video? And by video, I mean video you upload, not links from YouTube. Facebook is starting to get pretty contextual. This means that posts from your phone will be shown to a different audience than posts from your desktop. Facebook regularly changes its algorithm (sometimes as often as several times a week). As the algorithm is tweaked you will notice your Reach change, that's natural. So instead of trying to game the algorithm, be consistent with your postings. You'll build a stronger & more loyal fan base. This is due to consistently publishing high quality Facebook posts your fans enjoy. Folks at Facebook are smarter than the most crafty marketer out there who's trying to game the news feed algorithm. Facebook officials have thought of every angle a social media manager might take & have implemented rewards & penalties for those behaviors. Facebook knows the tricks you will use on your page before you even try. So instead of working to game the system -- post good content, be consistent & speak to your audience. Your fans want to see interesting Facebook posts that make them laugh, stir debate & motivate them. They don't care about your weekend sale. Post about promotions -- but expect to pay for those ads to appear in the news feed. Are most posts garbage? Do many page owners need to find better stuff to post on Facebook? Do you expect your posts to be seen by more than 5% of your fans? 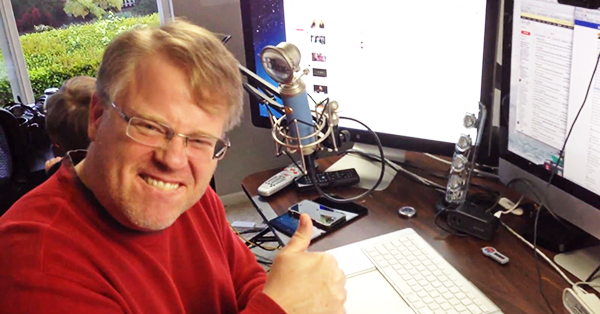 Please leave a comment here & don't miss the discussion on Scoble's page.